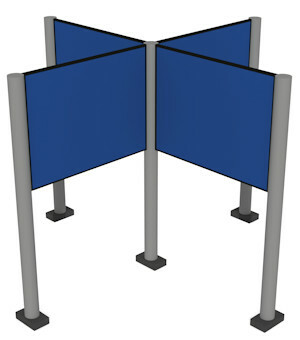 If you need Fabric Display Boards to display Posters, Creo can rent Fabric Display Board Stands that can be used individually or integrated with each other to create even larger exhibits or displays. Choose from a range of different size boards, covered in fabric front and back. 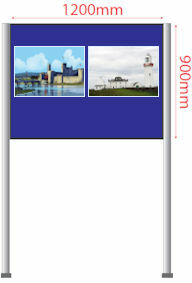 Posters can be attached on both sides with "hook" velcro. 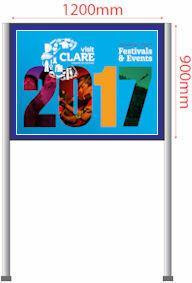 1200mm x 900mm size display boards are popular when used as standalone displays as they can accommodate up to A0 size posters. 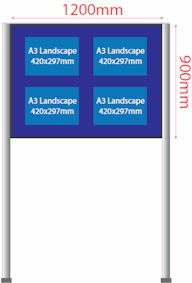 Note 1: Display Boards can be mounted either Portrait or Landscape to suit poster size and orientation. 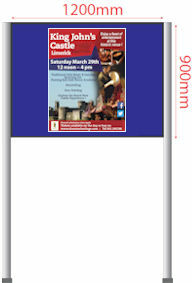 Note 2: Display Boards have fabric on both sides and as such can be used for double sided poster display. Note 3: Display Boards can be linked in straight lines and at 90 degree angles to create different shapes and configurations to suit specific floor spaces.